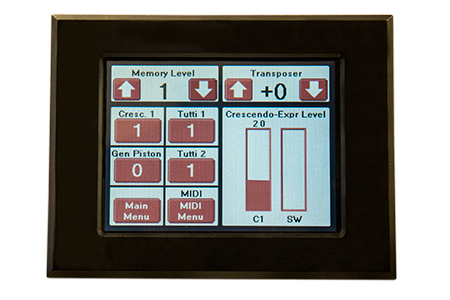 The MS8401 General Controller is primarily used as a connection point for crescendo, rotary transpose, and other basic console features. 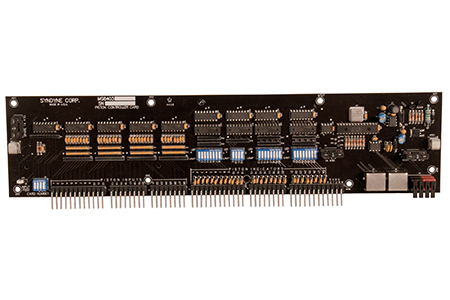 The MS8402 Stop Controller Card can control up to 20 stops for the MS8400 system. 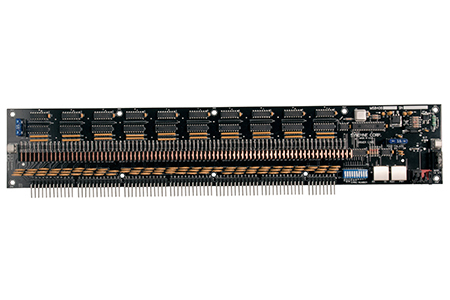 Each MS8403 Piston Controller Card can manage 28 pistons, including lamp/LED drivers for each piston. 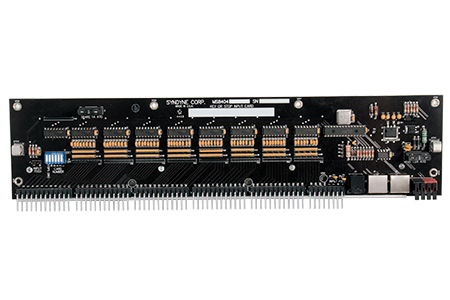 The MS8404 Key Input Card has 61 note inputs, an analog expression input, and pins available for acquiring key feed directly on the card. 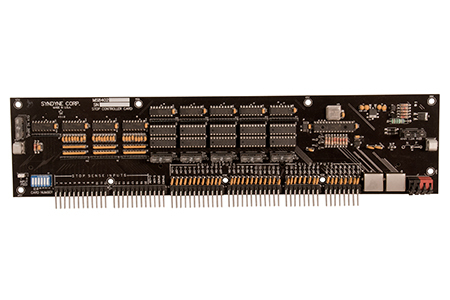 The MS8405 Full Color Touch Screen provides the builder and organist with the latest technological advances in organ control systems. 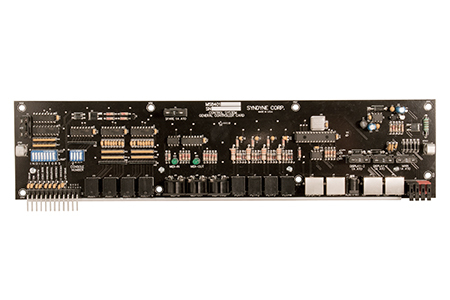 The MS8406 chamber driver has 80 outputs that can be used to drive pipe magnets, swell motors, stop lines, and trap lines.